To describe this book would take me a lot more thought than just writing a quick blog review. Isherwood's style of writing, imagery, and character development is indescribable. You really feel George's grieving, his anger, and his happiness. It's incredibly relateable in the sense that what George is feeling, you're feeling it for the exact same reasons. If you've seen the movie and decided 'oh, I just don't need to read that,' YOU'RE WRONG! You do need to read this! They are rather different. If you've read this book and haven't seen the movie, YOU'RE ALSO WRONG! The movie is fantastic! Anyway, this entire novel is just a masterpiece. Pick it up and read it. 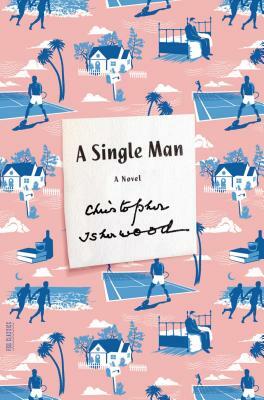 Christopher Isherwood (1904-1986) was born in Manchester, England, and lived in Berlin from 1929 to 1933 and immigrated to the United States in 1939. A major figure in twentieth-century fiction and the gay rights movement, he wrote more than twenty books.